When it comes to drain cleaning, it’s all about power! The Aussie King Cobra Vanguard jetter is proving hugely popular due to its combination of 5,000 psi pressure, flows of 25 lpm, and 27HP industrial Vanguard engine. 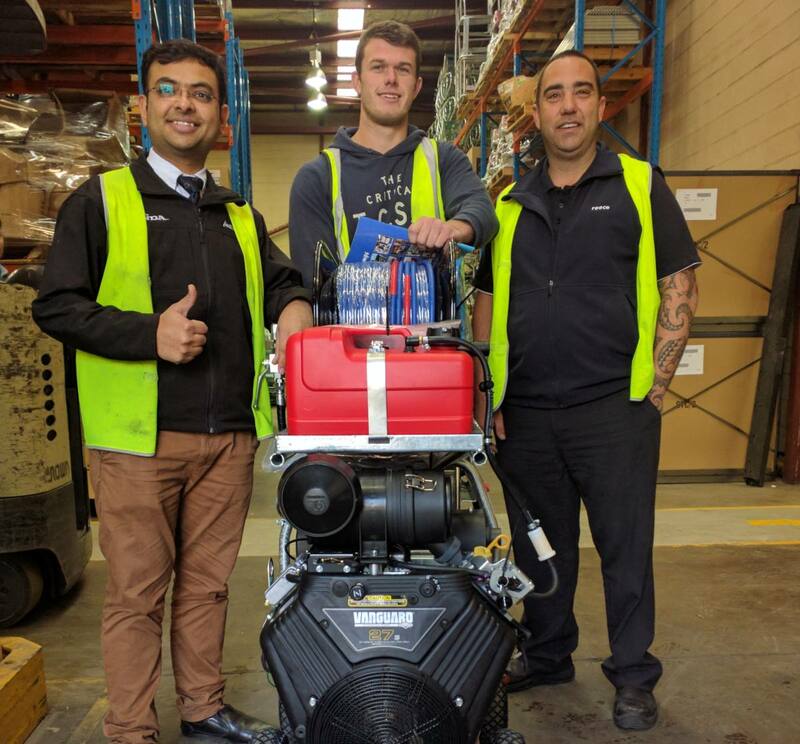 Aussie Pump’s Mal Patel (right) handing over a new Vanguard powered jetter to Jack Bowen (centre) with Jamie Douglas, Reece Heatherbrae (left). The King Cobra was developed by Aussie Pumps, originator of the high pressure jetter in Australia, based on a need to clean blocked drains up to 8 inches in diameter. The ‘big block’ Vanguard engines are built especially for Briggs and Stratton by the Japanese Daihatsu company, one of the world’s biggest engine manufacturers. 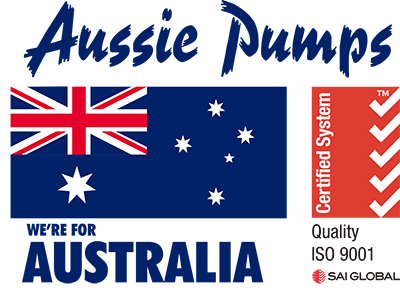 “The extra Vanguard power and torque provides real advantages in terms of fuel efficiency and lower noise levels,” said Aussie Pumps senior engineer John Hales. “The Vanguard has larger cubic capacity, 895 cc’s, and develops more torque and horsepower at lower engine speed,” he said. Low oil consumption is also a feature. The engine is revving slower which means less frequent oil changes and maintenance schedules. This results in a lower noise level, a bonus for operators. The engine features a big muffler with special baffle chambers that dampen noise even further. Like all Aussie portable drain cleaning jetters, the big jetter comes in a specially designed Cobra frame. It is fitted with a big 30 litre stainless steel “break tank” with float valve and low water cut out for pump protection. For static configurations, the wheels come off and the frame is locked down onto the ute tray or trailer bed with a unique “Aussie Cobra Loc”. The Cobra Loc is a jetter securing kit that ensures the machine doesn’t move during transit. It can be padlocked and protects the frame from stress during operation. “The Vanguard engine was an obvious choice,” said Hales. “The engine is huge, but boy, does it pack some punch for clearing chokes, decimating tree roots and makes post job wash-down a breeze,” he said. The King Cobra Vanguard comes with a unique four year “Big Berty” Bertolini warranty whilst the engine is covered by Briggs and Stratton’s three year guarantee.